Wednesday's defeat to Brentford in what will be our last ever trip to Griffin Park see's Town hanging by the slenderest of threads to their Championship status as results elsewhere ensured the agony goes into Saturday's home game at the very least. It has to be said pretty much everyone I speak to now just wants it done, it's akin to being on death row right now with the uncertainty of knowing that it is going to happen but we just don't know exactly when. In recent weeks I think it is fair to say that most would not criticise Town's performances too much as several games that were drawn should have been wins and teams vying at the top end of the table were going home grateful for picking up an undeserved point against us, however that can not be said of Town's effort against the Bees as aside from the opening Fifteen minutes or so we really offered little, we will never know if things would have turned out differently had Collin Quaner's effort gone in instead of bouncing to safety off the inside of the post, to add more insult to injury they go up the other end and score within seconds, that is the story of our season in a nutshell, can't take our gilt edge chances at one end and gift stacks of soft goals at the other end. You are never out of it at 1-0 but once Flynn Downes had slipped on the wet turf to gift Brentford the simplest of goals it really was game over, even at that early stage. Backed by a 1600 strong away following who had sung from way before kick off Town just could not raise their game on this occasion, it's quite something how loud the support was then the first goal goes in and the decibels from the Town end go up and up, suddenly it's 0-2 and we sing even more and even louder, this club's fans deserve so much more and hopefully it is coming next season. I always laugh with amusement at some of the comments made by my fellow fans, last nights cracker was "Dozzell didn't do a bloody thing" now don't get me wrong he wasn't great and needs to do more but do they just not see the defence splitting pass that sent Quaner clean through ? It's fine to have issues with players performances but at least recognise the good as well as the bad. Quite a few have made their feelings known about how poor Wednesday was and the disappointment that goes with it but I think it is important to recognise just how young the Town team was on Wednesday evening especially as it looks very much like this is the way we are going to go next season and as Paul Lambert keeps saying these youngsters will make mistakes as they learn and develop, Kenlock (22), Bree (21), Chalobah (19), Bishop (22), Downes (20), Dozzell (19) that's half a team at 22 years of age or younger, it can only auger well for future as they gain valuable experience, we need to be patient as Lambert nurtures their progression. Unfortunately the final nail could well be hammered in come 4.50pm on Saturday after our game against Birmingham City, even a win may not be enough if other results go against us, I've had a feeling for some time that this was the game that would seal our fate and while it will be a sad occassion I am hoping that when it does happen it is at home as surely nobody would enjoy being up at Preston of all places having just gone down, having the home fans there will offer a crumb of comfort to the players who will naturally feel a sense of failure but if they were to get some positive reaction in the face of the most awful scenario that surely would soften the blow, I have heard lots of whispers of turning into a relegation party and while it is a term I have used myself the nearer it gets I think "party" is maybe stretching it a bit far, we just need to do what we did on Wednesday but in much greater numbers, that will do for me. As to the game itself, Birmingham City come to town having seen a points deduction plummet them closer to the drop zone than they would like, they are still Six points above third bottom Rotherham and with only Five games to go should be ok but they will see this as an opportunity to cement their Championship status as they visit the bottom club who are all but down, their current form is pretty dire with only One victory in the last Seven matches, albeit it a impressive win over high flying Leeds Utd at St. Andrews. The truth of it is the result matters little, except perhaps for the chance to maybe avoid finishing bottom but the outcome is still the same whether we catch Bolton or not. I will stick with the belief that we have by and large been much improved in recent weeks and therefore will edge a tight game to yet again give ourselves a stay of execution. COYB'S. Birmingham City were founded as Small Heath Alliance in 1875, and from 1877 played their home games at Muntz Street. The club turned professional in 1885. In 1892, Small Heath, along with the other Alliance teams, were invited to join the newly formed Football League Second Division. They finished as champions, but failed to win promotion via the test match system. The following season promotion to the First Division was secured after a second place finish and test match victory over Darwen.The club adopted the name Birmingham Football Club in 1905, and moved into their new home, St Andrew’s Ground, the following year. Matters on the field failed to live up to their surroundings. Birmingham were relegated in 1908, obliged to apply for re-election two years later, and remained in the Second Division until after the First World War. Birmingham won the second Division Two title in 1920–21. In 1931, manager Leslie Knighton led the club to their first FA Cup Final, which they lost 2–1 to Second Division club West Bromwich Albion. Though Birmingham remained in the top flight for 18 seasons, they struggled in the league. The name Birmingham City F.C. was adopted in 1943. The club won the Football League South wartime league and reached the semifinal of the first post-war FA Cup. Two years later they won their third Second Division title. Bob Brocklebank, though unable to stave off relegation in 1950, brought in players who made a major contribution to the club's successes of the next decade. When Arthur Turner took over as manager in November 1954, he made them play closer to their potential, and on the last day of the 1954–55 season confirmed them as champions. In their first season back in the First Division, Birmingham achieved their highest league finish of sixth place. They also reached the FA Cup final, losing to Manchester City. Birmingham became the first English club side to take part in European competition in 1956. They were also the first English club side to reach a European final, losing to Barcelona in the 1960 Fairs Cup final and to A.S. Roma the following year. In 1963 they lifted their first major trophy, the League Cup,when they beat their bitter rivals Aston Villa in the final. Sir Alf Ramsey briefly managed the club before Jim Smith took over in 1978. With relegation a certainty, the club sold Trevor Francis to Nottingham Forest, making him the first player transferred for a fee of £1 million. Smith took Birmingham straight back to the First Division, but a poor start to the 1981–82 season saw him replaced by Ron Saunders. Saunders' team struggled to score goals and in 1984 they were relegated. They bounced back up, but the last home game of the 1984–85 promotion season, against Leeds United, was marred by rioting, culminating in the death of a boy when a wall collapsed on him. This was on the same day as the Bradford City stadium fire, and the events at St Andrew's formed part of the remit of Mr Justice Popplewell's inquiry into safety at sports grounds. The club lacked stability both on and off the field and by 1989 Birmingham were in the Third Division for the first time in their history. In April 1989 the Kumar brothers, owners of a clothing chain, bought the club. A rapid turnover of managers, the absence of promised investment, and a threatened mass refusal of players to renew contracts was relieved only by a victorious trip to Wembley in the Associate Members Cup. Terry Cooper delivered promotion, but the collapse of the Bank of Credit and Commerce International (BCCI) put the Kumars' businesses into receivership until publisher David Sullivan bought it for £700,000. After a poor start to the 1993–94 season Cooper was replaced by Barry Fry, followed by the return of Trevor Francis. Francis introduced players with top-level experience such as Manchester United skipper Steve Bruce. In his second season the club narrowly missed out on a play-off position, followed by three years of play-off semifinal defeats By October 2001, lack of progress had made Francis's position untenable and he was replaced two months later by Steve Bruce, taking them from mid-table into the play-offs where they beat Norwich City on penalties to win promotion to the Premier League. 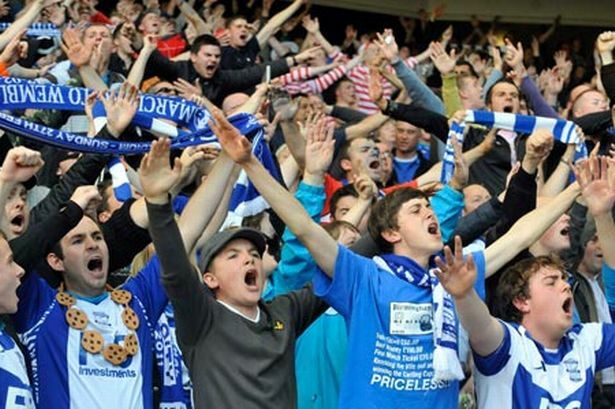 Birmingham's first top-flight season for 16 years finished in mid-table. In July 2007, Hong Kong-based businessman Carson Yeung bought 29.9% of shares in the club, making him the biggest single shareholder. Bruce left in mid-season to become manager of Premier League rivals Wigan Athletic.His successor, Alex McLeish, was unable to stave off relegation, but achieved promotion back to the Premier League at the first attempt. In 2011, a second victory in the League Cup secured qualification for the Europa League. With relegation back to the second tier, McLeish resigned in June 2011 to join Aston Villa. Successor Chris Hughton narrowly failed to reach the knockout rounds of the Europa League and the playoff final before, with the club in financial turmoil and under a transfer embargo, leaving for Norwich City in June 2012. He was replaced by Lee Clark. Under Lee Clark, Birmingham twice retained their divisional status, albeit through a 93rd-minute goal in the last match of 2013–14 to avoid relegation on goal difference. After a continuation of the poor form from the previous season, Clark was sacked in October 2014, to be replaced by Burton Albion manager and former Birmingham player Gary Rowett. Gary Rowett stabilised the team and led them to two tenth-place finishes before being controversially dismissed by new owners Trillion Trophy Asia in favour of the "pedigree" of Gianfranco Zola, who would aid the club's "strategic, long-term view" to take the club in a new direction. A spell of two wins in 24 matches left Birmingham needing two wins from the last three games to stay up, which they achieved under the managership of Harry Redknapp. Redknapp lasted eight matches in 2017–18, his former assistant Steve Cotterill five months, leaving successor Garry Monk another – ultimately successful – relegation battle where the Brum finished in 19th place with 46 points. Caption. Birmingham fan with a abscess wishes he was at dentist. Caption. Wayne and Waynetta Slob cant be arsed to stand. Recovering face transplant patient smiles for the camera whilst he watches his beloved Blues. 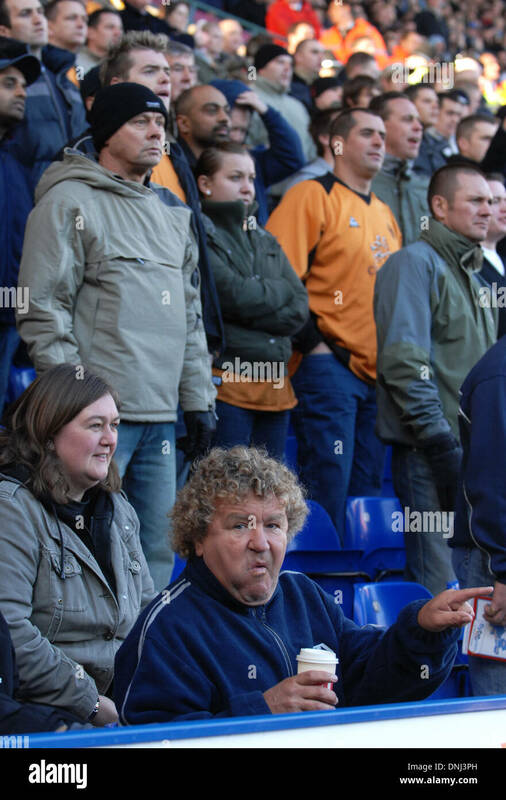 Birmingham fan still refuses to change his Keegan perm until he can extricate meat pie gristle from 1979. Following last weeks dead celebrity sighting of Elvis at St Andrews, this week, legendary ex- Thin Lizzy guitarist Gary Moore was spotted in the stands. The result is unimportant.. we will be relegated officially and the wait will be over. Caption - after being spotted in the crowd, wee jimmy cranky tells the camera man to watch the bloody game. Never like to see Town lose but just want relegation to be confirmed asap now. None of us know what the future will hold but whatever our opinions are on the owner, manager or how the club has ended up in this position we all have one thing in common. We are all fans of ITFC. "Don't buy your coffee from that pr*ck over there!" Caption: This coffee tastes like sh*t. I guess that pr*ck was right when he told me "Be Careful What You Wish For". Caption: Simon Jordan's older brother blames fart on Simon, stating "He did it, he's full of sh*t!!". Hoping for a resounding 6-0 win tomorrow......, for Inverness Caledonian Thistle that is. 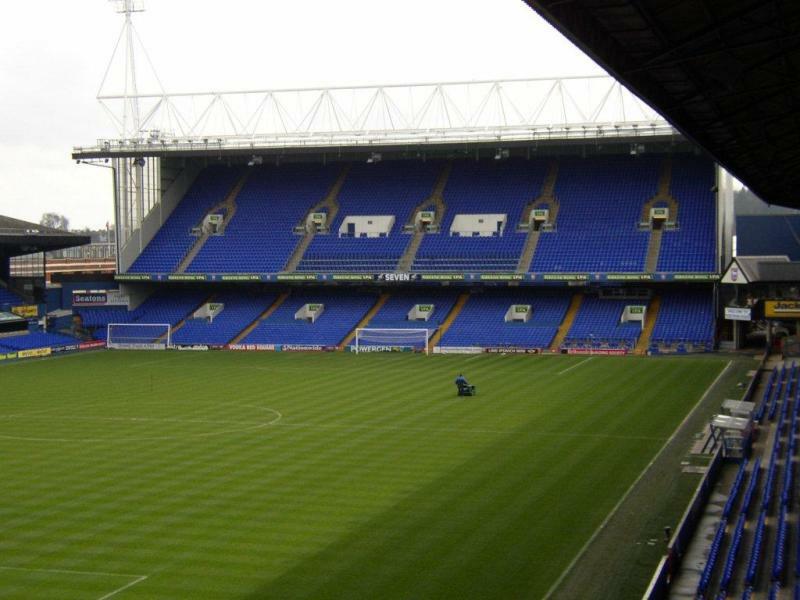 Another soul destroying "end it all now" draw at Portman Road. Player: Must be a foul, ref? Ref: Hmmm, yeah ok. Its April. I'm past caring. Home win tomorrow and a clean sheet 2-0. Caption " soup kitchen is that way""
Last edited by Ando on Sat Apr 13, 2019 12:26 am, edited 1 time in total. Caption "I know I should be over there with the Ipswich home fans but I can't afford the ticket prices"
Caption "you think I have problems! League 1 is that way"
Almost over isn't it. Went for a victory, read before the only way the team can survive is to win all it's remaining games and the other relegation candidates to lose all points bar one. In the simplest terms, not a snowballs chance in hell. This one has draw written all over it. I see it ending 1-1 with relegation confirmed. The sooner this nightmare season is over the better. Feck it,wrong turning off the M6...got me coffee and toffees but that ain't Everton. The 11 dying swans but 1-0 Towen. Caption " I haven't seen your cream egg, have you checked over there"? CAPTION..... The other week I was on there punching Grealish, today its that useless b*stard Skuse's turn ! Really hoping we win today and all results go against us to send us down. We need to be put out of our misery but obviously I want to win the match. Collins, Edwards , Emmanuel and Skuse in out go Downes, Toto, Bree and Chalabah. I would prefer Jackson to Quaner otherwise happy with team. Whilst the line up looks ok on paper and I know we’ve nothing to play, for but I’d still prefer to see a more settled starting X1 with fewer changes every game. Live Tv Channel found albeit with a bias Brummie commentary but beggars can’t be choosers. 0-1 down after 7 mins to what sounds like another defensive c*ck up doesn’t bode well. Great effort from Kenlock, more of that please although the commentary suggests he was at fault for the opening goal and trying to make up. Live coverage from Blues TV explains why it’s Brummie biased. We’re passing the ball better than I’ve seen recently and retaining possession more but very little penetration in the final third, which is where it all fizzles out. A mistake by Dozzell giving away possession almost gifts a second goal but we escape by the skin of our teeth. 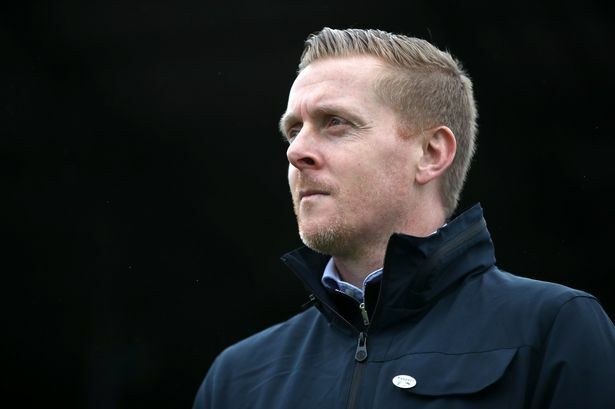 Most of Birmingham’s chances seem to stem from Ipswich errors. Nice free kick from Judge easily saved by Camp in goal for Brum but at least on target. If Brum get a second goal I think that’s us done, but until that happens we’re still in it.